This was one of the key messages at the UU Workshop: Cracking the Leadership Crisis, Deeper Dive presented by Karen Bellavance-Grace of our UUA New England Region. The event took place at our sister congregation in Ellsworth, Maine. 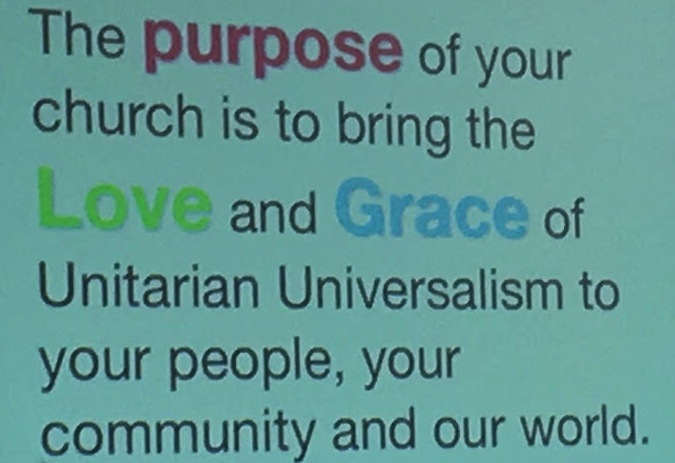 Do our actions (individually and collectively) emulate the action of bringing the Love and Grace of Unitarian Universalism out into the world, into our neighborhoods, and in our families and close circles of friends? May we strive, each time we fail to live up to this purpose, to realign with it. Knowing that as we do, as we mindfully circle back towards the center focus and mission of bringing Love and Grace, that we will be cultivating the strength of practices that serve our hearts and our Faith.